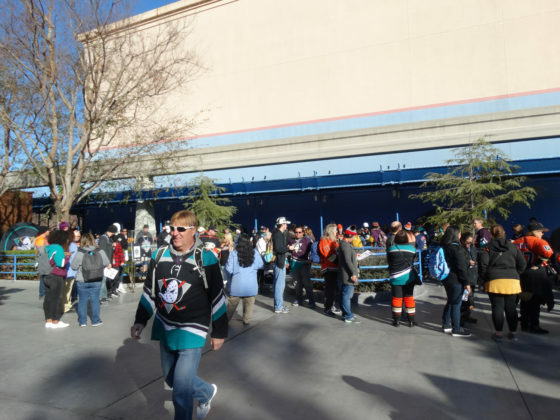 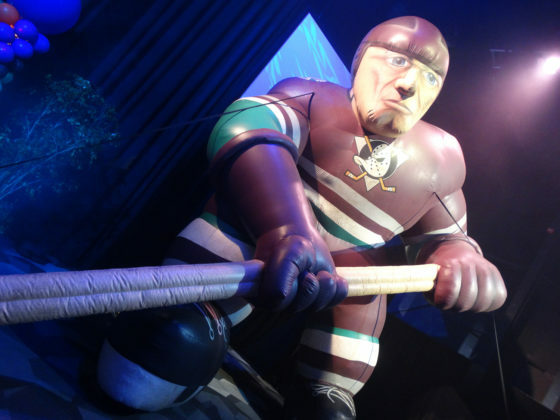 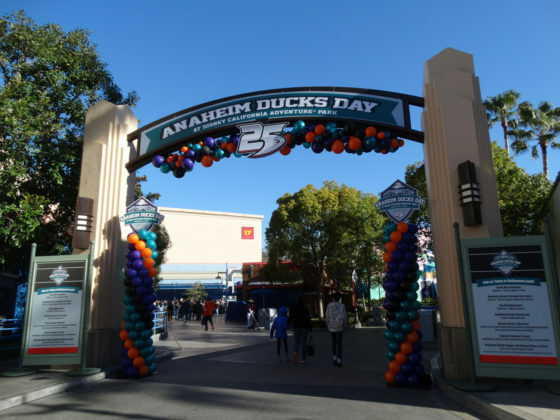 In the 1993-1994 National Hockey League season, a new teamed called The Mighty Ducks of Anaheim (founded by The Walt Disney Company and inspired by the 1992 Disney movie The Mighty Ducks) began playing at the then newly built Anaheim Arena. 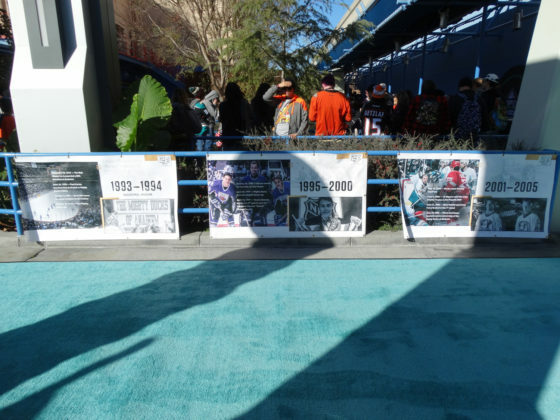 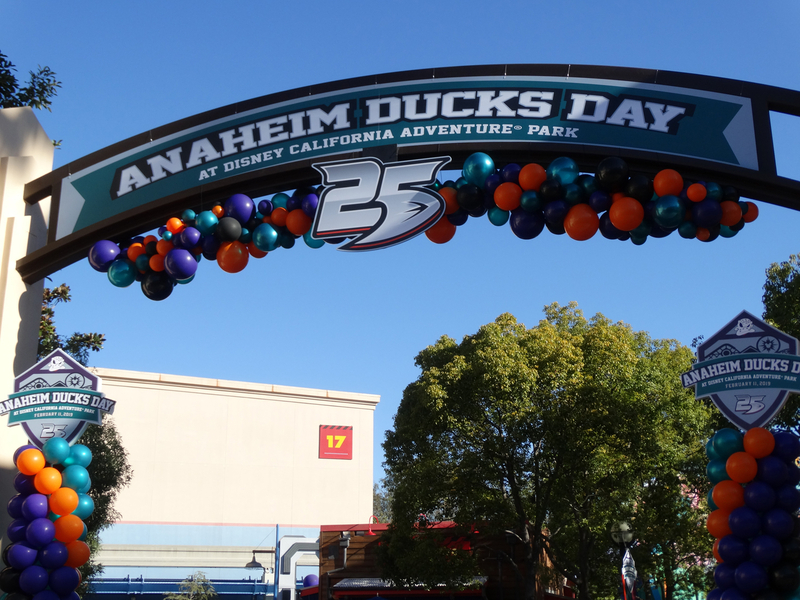 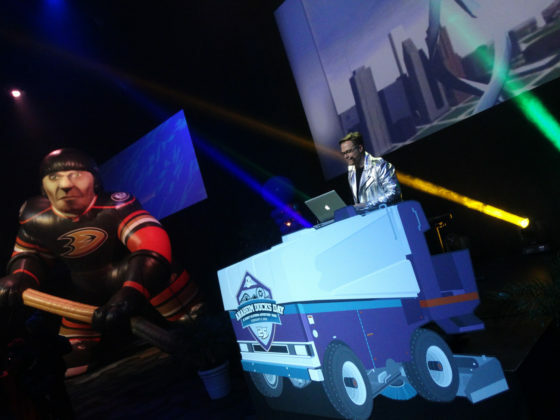 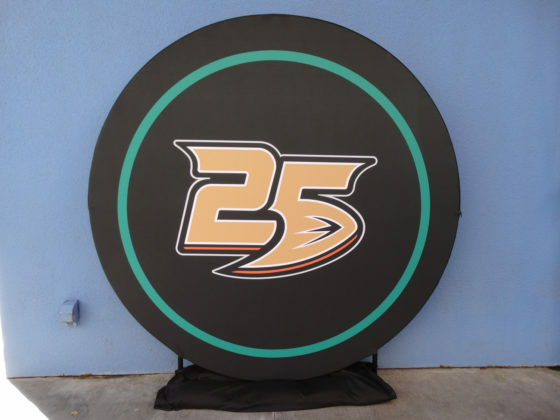 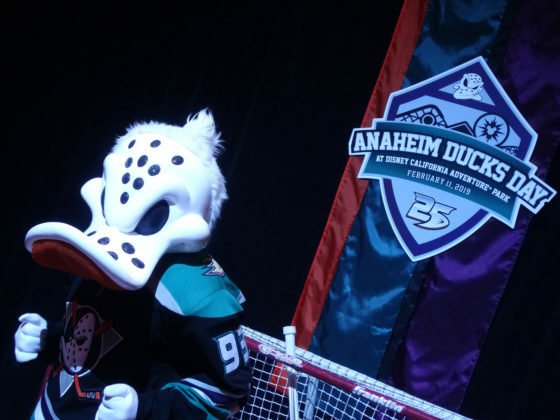 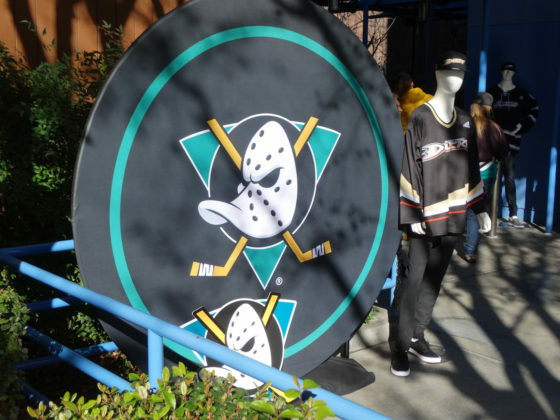 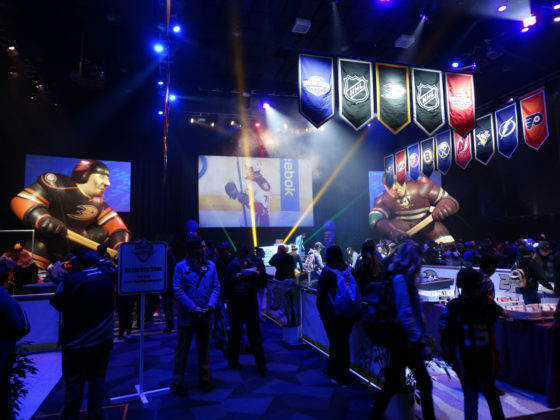 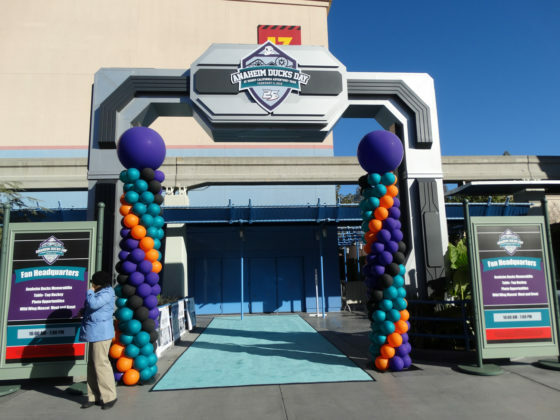 Twenty-five years later, the team (no longer owned by Disney and now renamed the Anaheim Ducks) is celebrating its quarter-century history throughout this week around Orange County in Southern California. 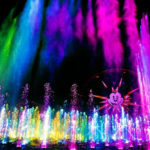 The first Disney-centric event of this weeklong celebration occurred Monday at Disneyland Resort, where Anaheim Ducks Day took over Disney California Adventure’s Hollywood Land area, occupying the Sunset Showcase Theatre with video highlight reels all day long and filling Stage 17 with a massive Fan Headquarters– complete with an air hockey arena, zamboni DJ, photo ops, a meet & greet with Ducks mascot Wild Wing, a museum of team memorabilia, hockey skill challenges, and more. 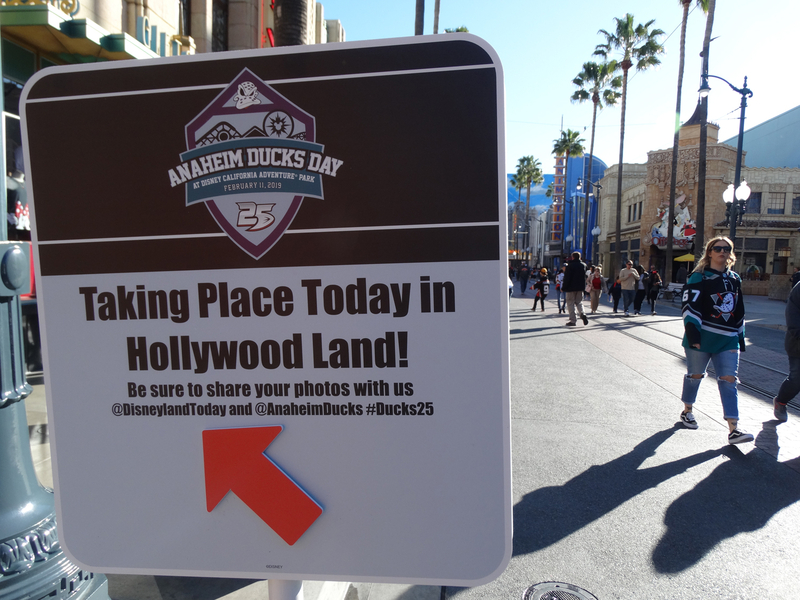 In the afternoon, fans gathered along the park’s Hollywood Boulevard facsimile for a cavalcade featuring some of the Anaheim Ducks’ biggest star players, plus Donald Duck, Mickey Mouse, a roller-blading entourage, and other enthusiastic participants, all tucked into or marching alongside Disney California Adventure’s famous Red Car Trolley. 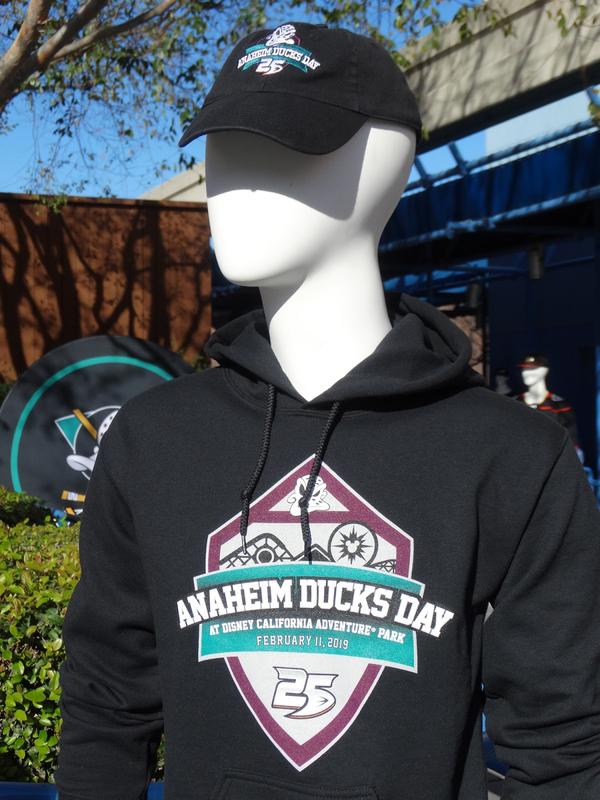 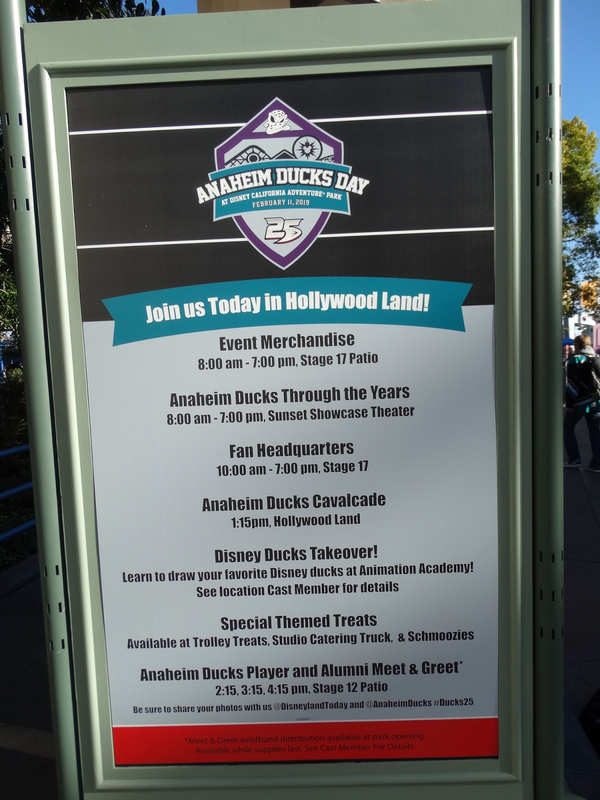 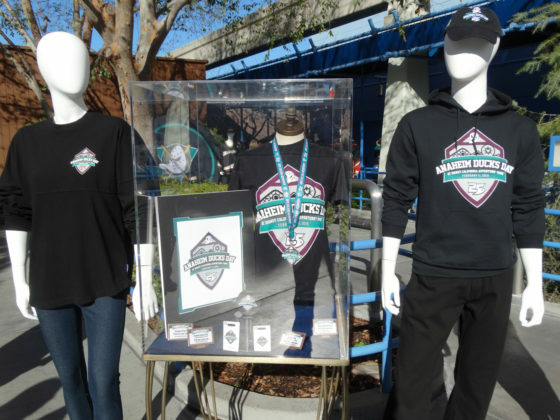 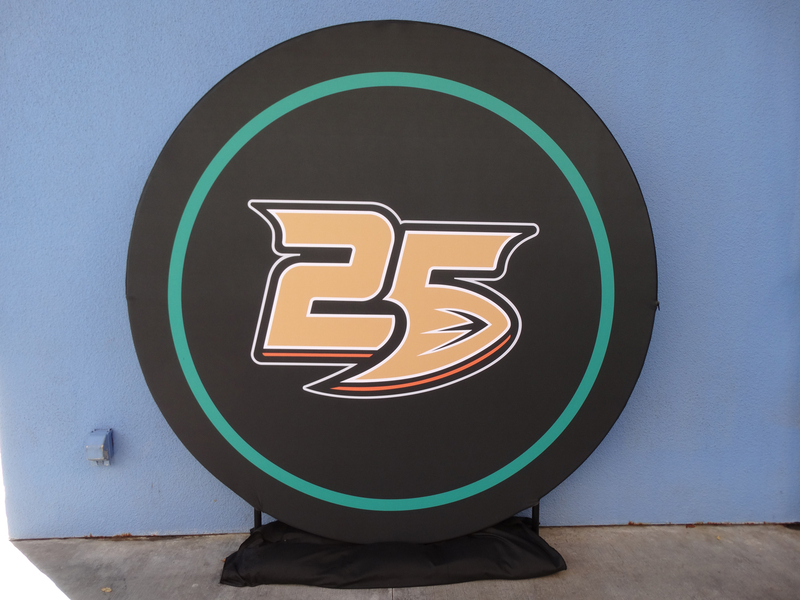 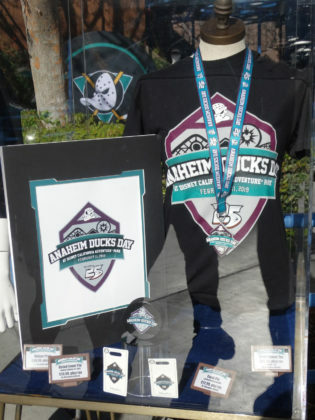 There was also a selection of exclusive Anaheim Ducks Day merchandise available (including pins, branded pucks, apparel, and baseball caps), not to mention a variety of Ducks-themed treats available at several of the park’s counter service dining locations. 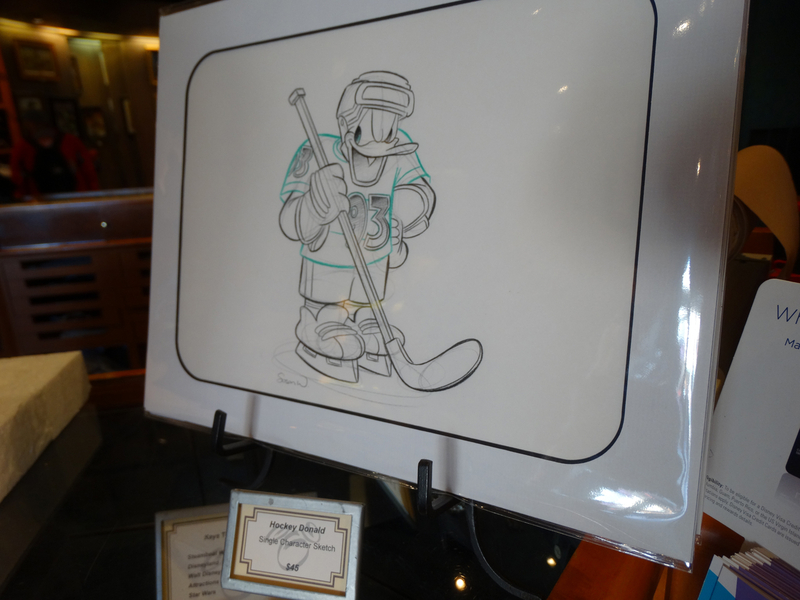 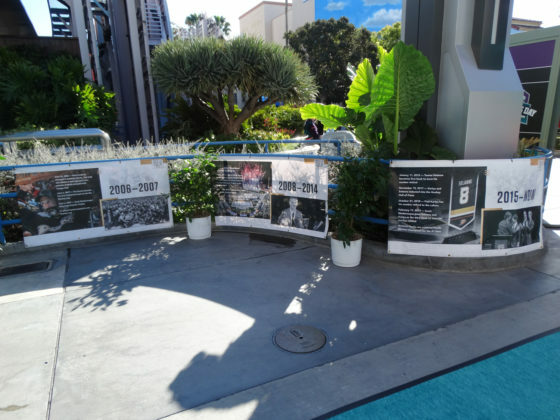 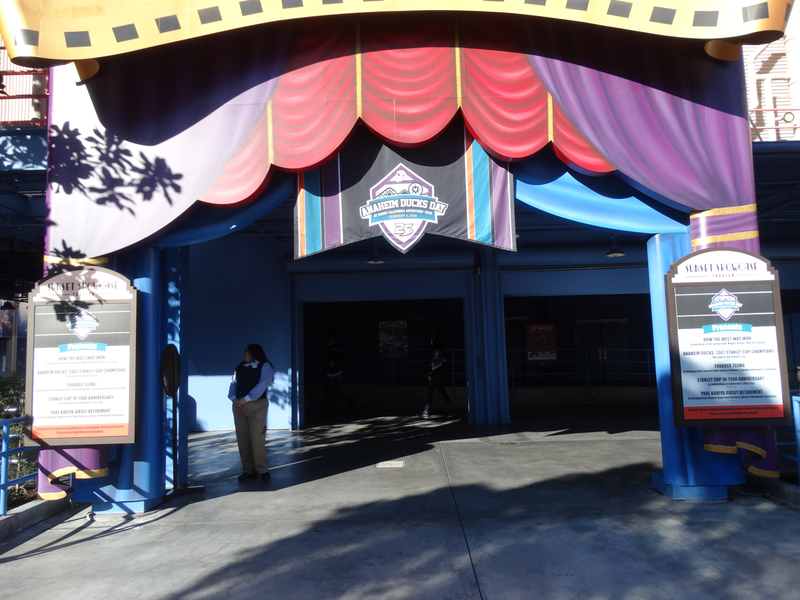 Also in honor of the occasion, the fan-favorite Disney ducks took over the Animation Academy attraction, where guests can learn to draw their favorite characters. 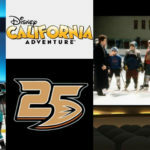 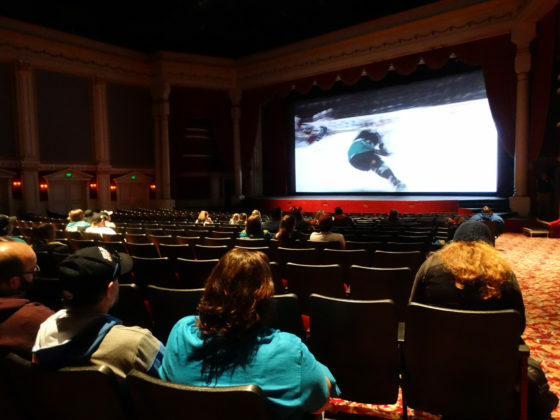 The Anaheim Ducks 25th Anniversary Silver Celebration week continues from now through this weekend with a screening of Disney’s original The Mighty Ducks movie (Tuesday, 2/12 at Santa Ana’s Yost Theater), The Mighty Ducks movie tribute night when the Anaheim Ducks will don the iconic uniforms from the film during warm-ups (Wednesday 2/13 at the now-named Honda Center), and other fun and commemorative events including legend Scott Niedermayer’s jersey retirement. 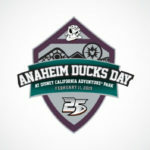 For more information be sure to visit the Anaheim Ducks’ official website.